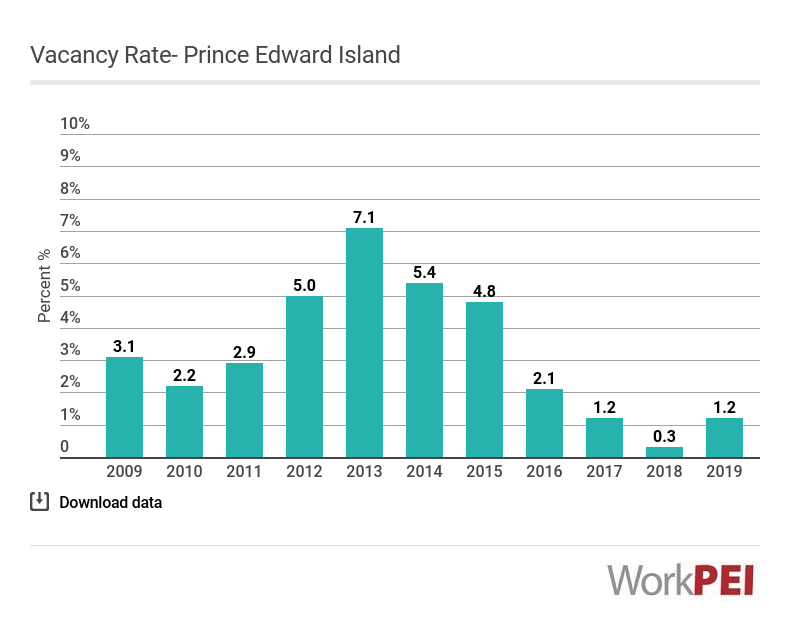 Prince Edward Island’s CMHC rental vacancy rate dropped 0.9 of a percentage point from 2017 to 0.3% in 2018. The apartment vacancy rates dropped in Charlottetown to 0.2% and Summerside to 0.9 over the same period. Adapted from Canada Mortgage and Housing Corporation (CMHC). This does not constitute an endorsement by CMHC of this product. The ratio of rental units not rented versus the total number of units.